CBS marketwatch ran an interesting article over the last week highlighting a new plan for banks to offer small to medium sized loans to customers who traditionally have marginal or lower credit profiles. The national unemployment rate at 10.2%, the highest level in more than 26 years and this is having a significant impact on the economy, but has been a boom for the payday loan industry. The new program is hoping to put in place upwards of $28 million in loans under $2,500.The FDIC’s goal is to help the estimated 80 million to 100 million so called under-banked Americans avoid payday loans or overdraft programs that provide quick cash but carry high fees or triple-digit interest rates. The agency will release a final report on the two-year program in February 2010. 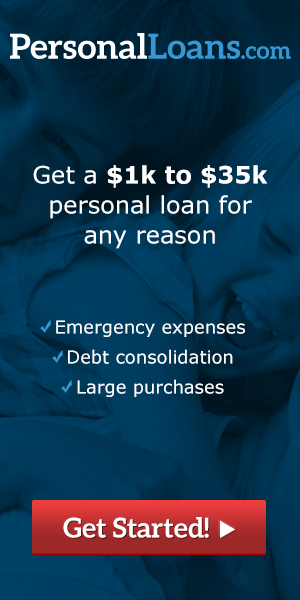 The goal with the smaller loan program is to provide customers with loan options other than credit card cash advance or payday loan options. Another area that is being review and heavily scrutinized is the banking industries policy towards overdraft protection, which can penalize consumers up to $35 each time they exceed their account limits, without limitation to the size of the withdrawal. The FDIC has recently stated that these overdraft fees amounted to $35 billion in extra revenues for banks, a figure that will be hard pressed for the banking industry to simply walk away from. The new lower loans are targeted at helping those most in need, low-income consumers who overdraw their accounts on purpose, as a type of short-term loan because they can’t cover their basic living expenses. A key area the banking industry is trying to assist are consumers who have turned to the payday loan industry for help. Its estimated that the payday loan market is a $70 billion dollar annual revenue industry with over 20,000 companies across the country serving this market. Low-income individuals without bank accounts turn to payday lenders, who provide cash for a large fee. According to one statistic, 70% of payday loans come from repeat users. Even with little information about a borrower’s credit information, the lenders participating in the new pilot lending program through the FDIC have experienced low default rates on small-dollar loans. In the second quarter of 2009, 5.2% of small-dollar loans provided by banks participating in the program defaulted, according to the FDIC. Roughly 9% of loans in the second quarter were in delinquency, or 30 days late, indicating that some borrowers had a difficult time paying the loan but most eventually paid it off. Agency officials said they hope the success of the program will drive more banks to set up offices in low- and moderate-income districts, where foot-traffic will drive more customers. The FDIC said that many participating banks are working with non-profit institutions and community organizations to help identify potential borrowers who might benefit from small loans. This entry was posted in Uncategorized on November 24, 2009 by admin.